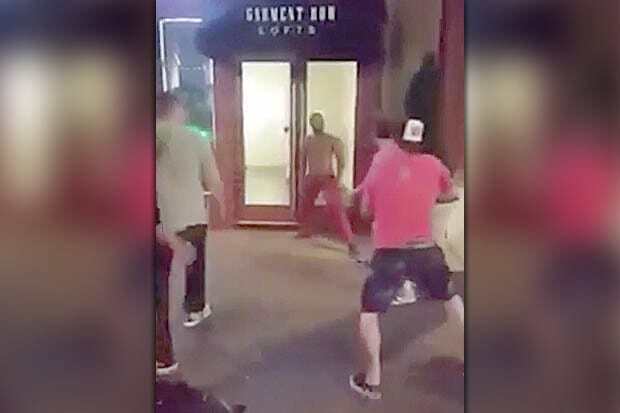 A savage video has emerged showing an angered man beating up for other guys after they called him gay and things get pretty brutal. One of the guys then launches himself him at the furious man, before his mates spin round and follow suit. Suddenly, all four men are attacking the lone man, but it quickly becomes apparent he can seriously hold his own. After he’d taken down two of his attackers, the rest of the gang chase the lone ranger across the street, to screams of horror and outrage from shocked passersby. As the clip comes to an end, the skirmish is broken up and more than half a million people have since watched the bizarre battle. Viewers were quick to offer their opinions on the scuffle though. How does this type of thing still happen in 2017? 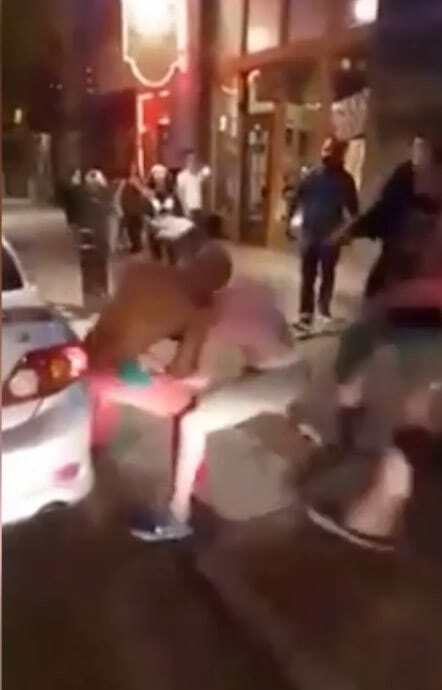 I think those guys walked into that fight thinking they were on WWE. Glad they got what they deserved. Pretty nasty stuff from all parties involved. Shouting abuse at someone is not OK, but then again nor is violence. Hope it all got resolved in the end.